Cadbury’s Roses Chocolates Still Growing on You After Eighty Years. Way back in 1938, just before the outbreak of World War Two which resulted in years of rationing Cadbury’s launched their “Roses” chocolate confectionaries in Great Britain. 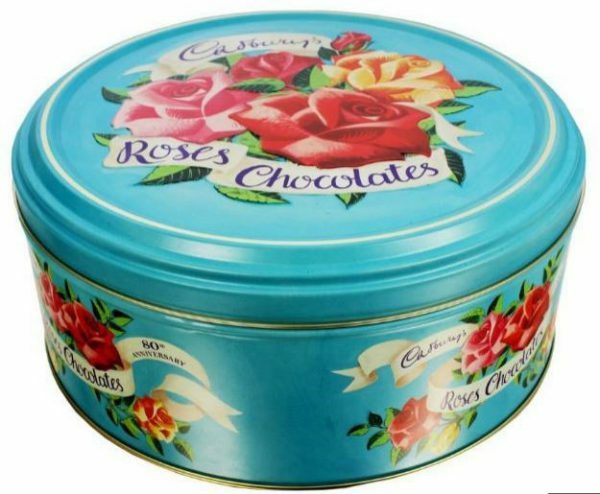 How many of us can remember the Roses metal tins being used for years after purchase by mums and grans everywhere either as biscuit or cake tins? Cadbury’s are issuing a limited number of 80th Anniversary tins of Roses in recognition of the enduring popularity of the brand, available only in Tesco supermarkets. Typing this up I now remember Norman Vaughan, a popular comedian in the 60’s and 70’s, featuring in what would now be considered pretty naff TV adverts for them with a strange “Roses grow on you” tag line! !